Is ‘Buzzfeed Food’ Making Me Fat? I work in social media, therefore I literally have Facebook/Twitter/Instagram open all day long. It’s a curse, not a blessing – promise! During my daily scrollfest, I see a lot of posts about food. Easy chicken ranch dip! S’mores dip! Pizza dip! More stuff you can eat on a chip! But I rarely see anything that’s unprocessed or remotely healthy. So, I decided to see just how bad Buzzfeed’s recipes really are. For this experiment I used MyFitnessPal’s recipe function to estimate nutritional content. This deliciousness will cost you 25g of saturated fat, which is 126% of your daily value. According to the American Heart Association, saturated fat rises the level of cholesterol in your blood. High levels of LDL cholesterol in your blood increase your risk of heart disease and stroke. This recipe is based on two pieces of white bread, 1/4 cup marinara, two pieces of sliced mozzarella, six slices of pepperoni, 2 tsp butter. I mean, I could down half of this thing. Over half of your daily fat, 75% of your saturated fat and a whole lot of #carbz. This is based off one bag of Nestle semi-sweet morsels, 45 jumbo marshmallows and a box of graham crackers and then divided into four servings which sits at 1,100 calories per serving. See the post on Buzzfeed. I’m that creep at a party who casually hovers over the queso and magically eats, like, all of it. A generous dip into this recipe hits 92% of your daily saturated fat. This is based on one bottle of Corona Extra, an 8 oz. bag of Kraft shredded cheddar and 8 oz. of cream cheese, per the Buzzfeed recipe. Eeeeeep these are bad. This is 79% of your daily fat, 112% of your daily saturated and over half of your daily carbohydrates. If you watch the video on Buzzfeed, we can assume this recipe makes four cookies. Nutrition value is based on 1 tube of Nestle Tollhouse Chocolate Chip Cookie Dough, 1/4 cup enriched white flour and 12 Lancaster soft caramels and divided into four cookies. This doesn’t include whatever you dip into this. A chunk of this dip is 127% of your daily sodium, 71% of your cholesterol, 95% of your fat and 130% of your saturated fat. Nutrition info based on one shredded rotisserie chicken, 8 oz. cream cheese, 1 cup of Hidden Valley ranch, 1 cup of Frank’s Red Hot and 1 cup of shredded cheddar cheese. See the delicious spicy cheesiness on Buzzfeed. With a stick of butter, two tubes of Crescent rolls, 1/4 cup sugar – I thought these would be a lot worse. Still, one roll will eat up 62% of your daily saturated fat and about a 1/3 of your daily fat. They still look absolutely delicious though ;) Recipe yields 12 rolls. See it on Buzzfeed. Tl;dr – yes. 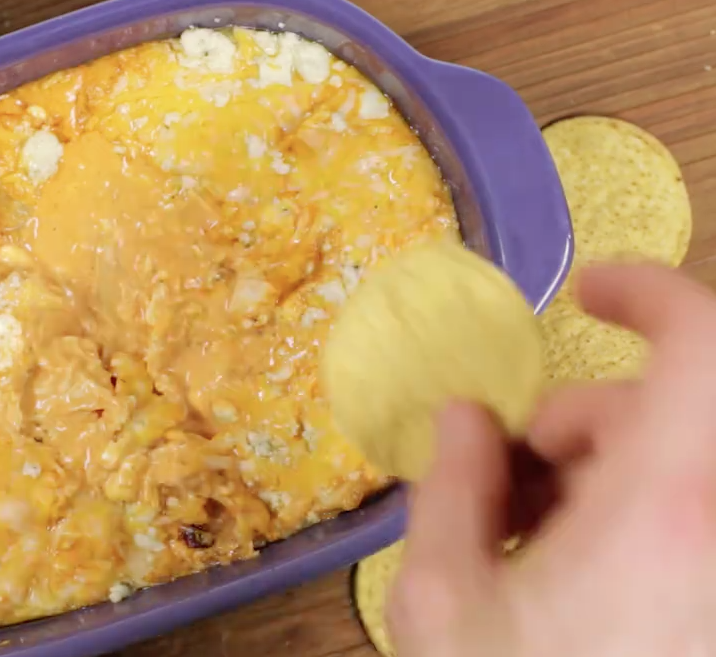 These Buzzfeed recipes have the potential to make you fat, and ruin your cholesterol. Ultimately it’s our choice what we put in our bodies! Choose unprocessed, fresh foods and go organic whenever you can.